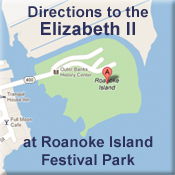 As a Friends member, you will become a caretaker of the Elizabeth II and the history, education and arts programming found at Roanoke Island Festival Park. Our members enjoy unlimited admission to Roanoke Island Festival Park and the Elizabeth II sailing ship, 20% discount in our museum store and the knowledge that you are helping to preserve history by supporting the mission of the Friends of Elizabeth II. 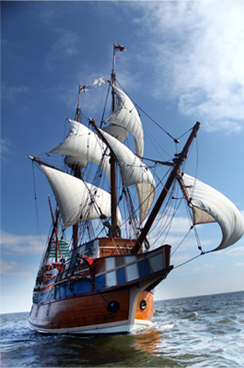 Membership funds help in the continued support of the representative 16th century ship the Elizabeth II, Roanoke Island Festival Park, and critical operating expenses for the Friends organization. Select your membership level from the dropdown list below and then click the JOIN/RENEW button. You can pay with credit card or PayPal. Thank you! If you would rather MAIL IN your membership, click here for a printable Membership Form. To give the gift of Membership, purchase by phone or for additional information, call 252-475-1506, ext 252. You may also email us at director@friendse2.org.